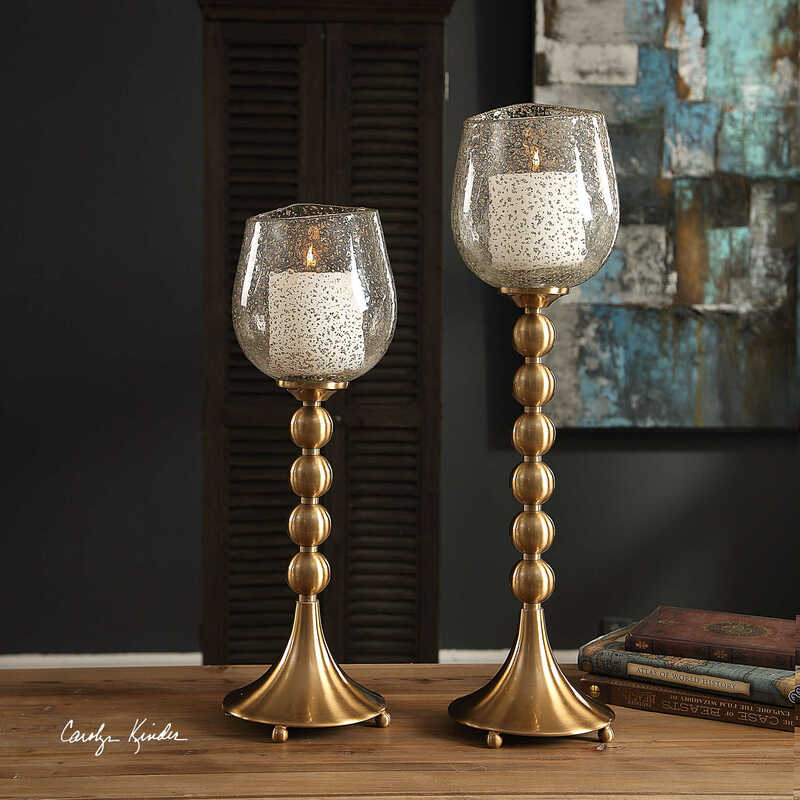 The Elianna Candle Holders feature stacked spheres finished in a plated, brushed brass with organically shaped clear glass globes with gold seeding. Includes two, 4″x 4″ distressed off-white candles. Sizes:Sm-7x23x7, Lg-7x27x7. Designed by Carolyn Kinder International.